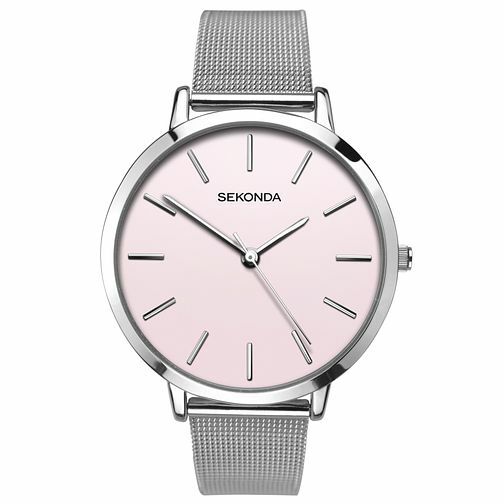 Sekonda presents this elegant ladies mesh bracelet watch. With a silver coloured case, dark pink dial and fully adjustable stainless steel mesh bracelet. This timepiece is durable, comfortable and on trend.